British billionaire Richard Branson poses for photographs in the window of a Virgin Galactic spacecraft replica. Good news, future space travelers: Now you can enter the void without bringing your wallet. U.K. business magnate Richard Branson announced Friday that his commercial space travel venture, Virgin Galactic, will allow customers to pay for their flights with the digital currency Bitcoin. "Virgin Galactic is a company looking into the future, so is Bitcoin. So it makes sense we would offer Bitcoin as a way to pay for your journey to space." Branson wrote in a blog post. "A lot of the people who have joined Bitcoin are tech-minded people, as are many of our current future astronauts." Bitcoin was created anonymously in 2010 as an experimental form of money that exists only online, and is not regulated by any central authority. Around 12 million have entered circulation, with the Bitcoin algorithm capping the eventual total at 21 million. Related: Bitcoin: $500 to $900 and back ... in a day! The volatile currency surged in value earlier this year after a banking crisis in Cyprus shook confidence in government-issued money, and it has rallied again in recent weeks. Bitcoins are currently valued at about $735 each, up from roughly $13 at the beginning of the year. "One future astronaut, a female flight attendant from Hawaii, has already purchased her Virgin Galactic ticket using bitcoins, and we expect many more to follow in her footsteps," Branson said. The Virgin Group founder added that he had acquired some Bitcoins himself as an investment. 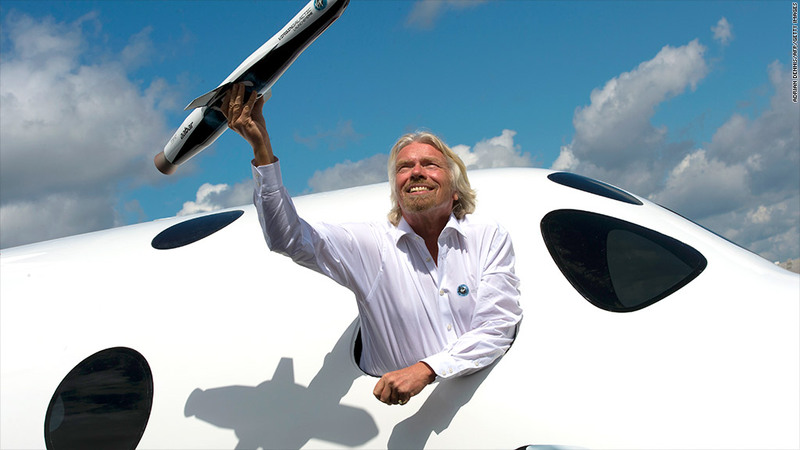 Branson plans to join his two children on Virgin Galactic's first commercial flight next year. The company says several hundred passengers have already reserved spots, which go for a whopping $250,000 each.